Roy and Cher's Rescue Farm is a registered Canadian charity that assists animals from abuse, neglect and abandonment. Roy and Cher's operates as a network of fosters throughout Eastern Ontario. Vegan-inspired. 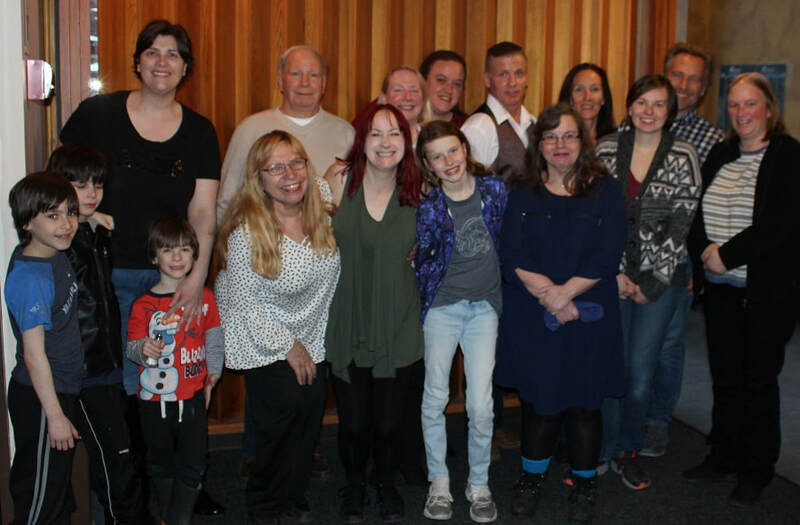 CORNWALL, ON -- In conjunction with National Volunteer Week, on April 9, Roy and Cher’s Rescue Farm held its annual Volunteer Appreciation Celebration. At the NAV Centre in Cornwall, several awards were handed out to deserving volunteers. Every year at Roy and Cher’s Volunteer Appreciation Celebration, awards are presented to outstanding volunteers and sponsors to honour accomplishments from the previous year. This year Roy and Cher’s added a new honour, Commitment to Fundraising, which was named after Judy Godard, who passed away February 17, 2019. 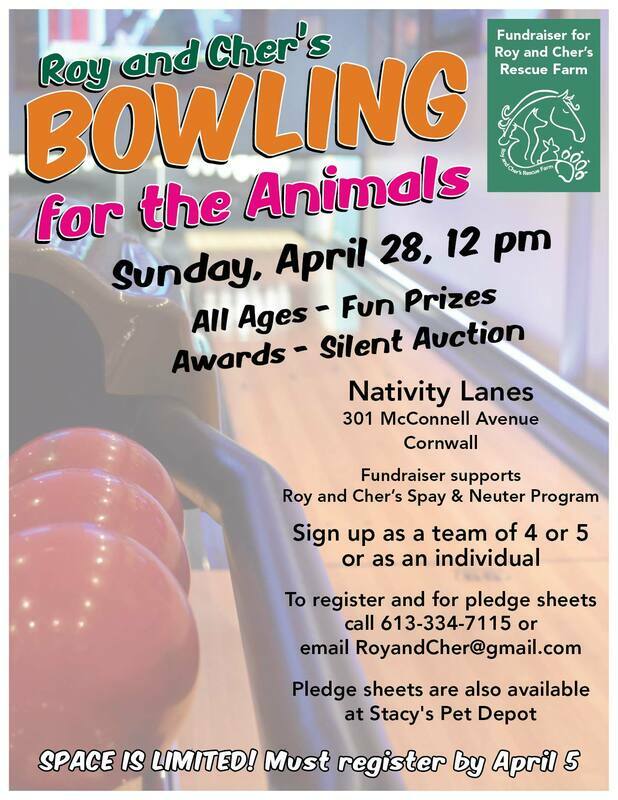 Roy and Cher’s would like to thank it’s sponsors of the celebration: NAV Centre, Jet Set Pub, Petsmart, and Bob-T Tack Shop. For more information on volunteering for Roy and Cher’s: http://www.royandcher.org/volunteer.html or contact Shari, Roy and Cher’s Volunteer Coordinator or 613-334-7115. T-shirts and Tanks available in all sizes! More info. Roy and Cher's Rescue was on Global News! We would like to thank Abigail and David from Global TV for spending time with us and allowing us to use our voices for Cornwall Community Cats. Roy and Cher's Rescue was interviewed on Global News regarding Cornwall's community cats; check out our Media page for the summary or use the link here to see the video. Roy and Cher's is now a Canadian registered charity! Read our press release. All potential adopters must fill out an application to be eligible. Roy and Cher's Rescue Farm interviews all applications and conducts home visits. We want to ensure that a new home is a forever loving home. We do not adopt out to those who intend to declaw. Roy and Cher's Rescue Farm does not use the term "pet" as it implies control, ownership and objectification of a non-human animal. We use the terms animal companion or companion animal instead.